I recently switched checking accounts and I have so many auto payments going and online services hitting it that its been a total nightmare to get them all switched over. On top of that, I often have several accounts where I keep money and I’ve long found using that money to be a pain when spread out. That got me thinking, that it would make for an interesting online service, to have a front account, complete with checks and debit card, that you would always use, but then hit whichever account you had setup with it at the time. This could also be a great solution to security issues. No one would really ever have access to your true accounts, only this account facade. The service could also easily help track all expenses across all accounts and log them all. You could setup that certain expenses pull from one account and other expenses pull from another. You would have a grace period of a day on all purchases before it hit your account, to report a false payment, and decide which account that particular expense should come out of. With this, you could actually keep your money in multiple banks, benefiting from various different features at different banks, without the hassle of bank switching. Just a thought. If anyone decides to go with this, let me know. I’ve been following the unique style of 37 signals for several years now and I believe they have come up with some very sound business practices, both in their direction as a company in developing web products and in how they promote a creative and motivational environment for their employees. In the interview I linked to below, Jason discusses many of these principles from trying to let each other work without distraction (avoiding meetings and working in the same room), to improving team collaboration using web tools (like Campfire), shortening work weeks, and streamlining development cycles. Jason discusses his views of not needing Venture Capital, at least at the beginning. He discusses simple design, not watching your competition, not planning too far in advance, and not spending a lot of time up front designing and planning but instead doing and learning from the outcomes. If you’ve listened to or read Jason or 37 signals in the past there isn’t much new here, but their thinking is so far outside the stuffy and constraining boxes of the Enterprise and corporate America, that you really can’t hear this enough. I hope it catches on, and I continue to try and preach the same principles and put them in practice in my own projects. I think many people instinctively recoil away from some of these ideas, but I urge you to resist the comfort of, “we’ve always done it this way…it must be working”, and instead consider the principles behind these ideas and the desired outcome of some of this new way of thinking and doing business. I’ve experienced first hand the flip side of these practices in the IT corporate world for the last 15 years. It never ceases to amaze me how every corporation does the same thing with the same results over and over again, including wasting employees time, working on large projects with huge complicated processes that burn time and money and burn out their employees, needless bloated meetings, emphasizing quantity of communication over quality, treating employees like worker bees or worse yet children by requiring them to be in a certain location at a certain time clearly showing them you have no trust in them, and by discouraging their individual thoughts and creative inputs. I’ve worked with many employees with great potential who were figuratively bound and gagged, stripped of participation and thereby emotional involvement in the project, which demoralizes and prematurely burns out the employee. 37signals does exactly the opposite and you can see it by following the employees of the company, seeing the quality of their projects, and the passion the leaders of the team speak and write with. 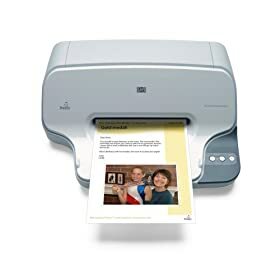 The HP A10 Printing Mailbox for Presto Service is really a great idea. I had a similar one about 10 years ago. The concept is for those, like the WW2 generation, who might never have gotten into computers, or at least not very deeply, and yet you might want to be able to email your grandparents. This device plugins into the phone line and dials into the Presto service a few times a day, and prints out any received email. It uses a whitelist for screening email so you won’t get printouts from any spam or junk mail. Though it is a great idea, I have to wonder how long the Presto service has been around. The target audience for this device must be shrinking every day. Still, I applaud the concept. Just a crazy idea (or a fresh idea as I prefer to say) to throw out there: I wish my laptop had a headset mode. By this I mean, that when in headset mode, should I accidentally pull the headset plugin from my laptop, the blaring rock music I have playing doesn’t treat everyone in the surrounding area (ie. cube row, Starbucks, etc) to a frightening musical feast. The laptop would know in this mode, NOT to play music from the speakers even if there is no earphone plugin inserted. This would also include system beeps. A few weeks ago while working at home (thank goodness), I cat’d a “text” file from my telnet window that turned out to contain strange binary characters which caused my laptop to scream in incoherent beeps, like R2D2 being tortured. Unfortunately, muting the sound did nothing, nor did plugging in the earphones, and it took the usual insane amount of time to kill the process under Windows. Somewhere a child cried, a dog howled, and my eardrums virtually bled. I shutter to think of the embarrassment this would have caused had it occurred while working publicly. Is it really that difficult a request? I expect if this already exists it would be on a Mac.